When you’re searching for a couples therapist in Bethesda, how do you know whom you can trust? Without knowing, you could hire a highly trained and well-intentioned therapist… who might ultimately make your relationship worse. 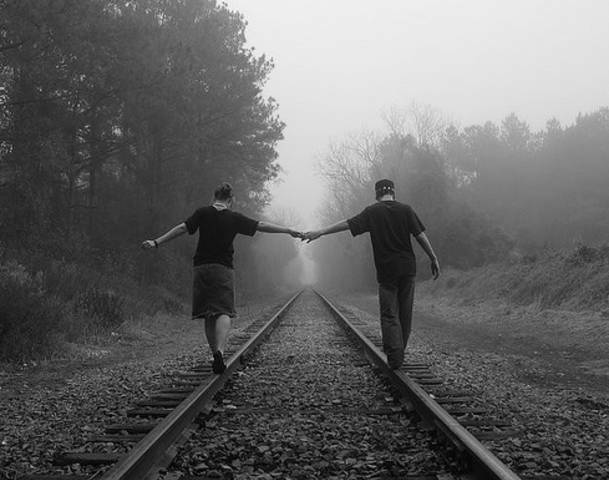 Did you know that most universities that train therapists don’t offer a single course in couples therapy? And yet, if you look through an online therapist directory like PsychologyToday.com you’ll notice that most advertise themselves as specialists in couples therapy. Something is seriously wrong with this picture. Some time ago, I found myself standing in your shoes. My marriage of 14 years was strong — unbreakable, we thought — but the pressures of raising children while maintaining two separate careers had slowly whittled away the cushion of goodwill and gratitude my wife and I once had in reserve. There was almost nothing left of our connection to one another. With weary hearts and hushed voices, we spoke of the ‘D’-word, in the way Harry Truman must have talked about the atomic bomb. Neither of us could really fathom divorce. We hated the idea of thrusting such a burden onto the shoulders of our grade school-aged kids. Getting a divorce went against everything we believed. And yet the pain of our disconnection had become so unbearable that we wanted relief — at almost any cost. 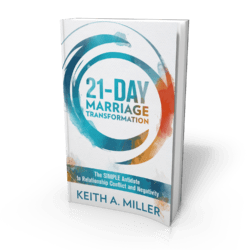 You might feel the same way we did: You’ve hit a point in your marriage that you’d do anything to stop the constant arguments, the misunderstandings, the power struggle. Your energy is sapped, your values compromised; the only thing you know for sure anymore is that this isn’t how two people in love should act toward one another. But, listen. My biggest fear then is still my biggest fear today. Too many couples rush to divorce, and those who don’t, those who realize the potential benefits of couples counseling rush through the process of selecting the right therapist. I wish it were that simple; if it were, we could dispatch a few trained personnel with top-of-the-line equipment to put out the blaze. But couples therapy as a profession is a specialty that requires advanced training and years of supervision to master. Finding a couples therapist who can help, and won’t hurt your marriage is more like choosing a heart surgeon than calling on your local fire department. When my wife and I needed help, I knew exactly how to navigate the maze of confusing language, and I was able to decode the alphabet soup of therapist credentials to focus on finding a therapist trained to use the most sophisticated and effective models for helping couples. We were lucky. Once we were matched with a therapist who could speak the “attachment language” of our relationship, she got to work with us, and was confident in her abilities — just like you’d expect from a great surgeon. Ten minutes into our first session, we felt better. Methodically, she helped us stop the bleeding, and together, we sewed the threads of our relationship back together. Her ways were compassionate, and direct; she saved our marriage. Here I am, a well-respected couples therapist, standing up to say that my marriage suffered. This is not something I am ashamed to admit, and in fact, it is my hope that my experience on the other side of the couch will inspire you to seek the help your marriage needs. The process of finding a great couples therapist is a daunting one, one that’s nearly as important as the marriage-saving lessons learned, and one that very few people — and therapists, alike — choose to talk about. For that reason, I wrote a book: Love Under Repair: How to Save Your Marriage and Survive Couples Therapy (available for purchase on Amazon.com now), a clear and personal guide, start to finish, through the process of finding a great couples therapist and succeeding at a full-out relationship repair operation. When your relationship is struggling, you don’t have time to experiment. 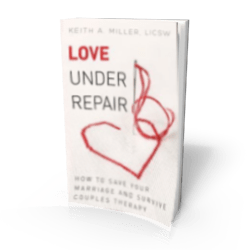 Love Under Repair brings to life the “Big Three” methods of couples therapy today: Emotionally Focused Therapy for Couples; the Gottman Method Couples Therapy; and Imago Relationship Therapy. 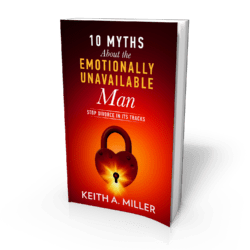 If you still have questions about finding a great couples therapist, or if there’s anything about searching for help that has left you confused, contact me, or visit Keith Miller Counseling in Washington, DC or Bethesda, Maryland. The time to save your marriage is now.